Hiking into the Washington Cascades. 2006. Nature surrounds us but we don’t see it. It talks to us but we don’t hear it. It radiates with joy and withdraws in fear but we don’t feel it. We have cut yourselves off from nature but don’t know it. Without nature we are not whole. The reality is our everyday lives have separated us from the natural world and it is showing. When you isolate a highly intelligent animal, such as a monkey or an Orca, from its natural environment it experiences depression and may exhibit pathological behavior. I believe many of the problems in our modern world are symptoms of our isolation from nature. If you look deep in your heart you know this is true. When we go outside we are renewed, the energy of the natural world restores us. For those of us that work or play in the natural world we feel it. That’s one reason we do what we do. But the truth is we only feel a trickle of what is possible. To truly experience the full force of nature you need to let it all go, you need to escape from your daily routine, your fast-paced life and busy mind, abandon your worldly possessions. You need to separate yourself from civilization and surround yourself with nature and just be. Simply exist and be present with an open heart, mind and soul. 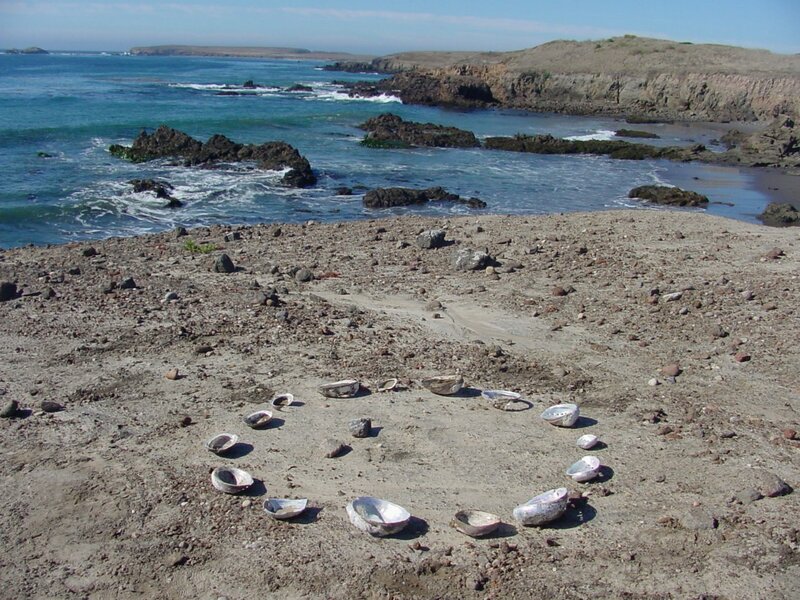 Circle of power, Santa Cruz island, 2003. This was a part of the vision quest of native Americans. A ritual where individuals sought places of solitude, who fasted for days seeking a vision to help their people. A rite of passage. Today I and many others conduct similar rituals to cleanse our body and soul and reconnect with nature. We call it the Nature Fast. Like the ancient rituals it mirrors the trail to the sacred mountain. To climb to the top, look down and ask what if? Who am I? Deep in your heart you know whether you want to make that journey. Perhaps you feel the ancient stirring in your soul and you know your time has come. You must go into the wilderness, to the heart of nature, must feel the essence of Mother Earth, be humbled under Father Sky, and seek vision, understanding and strength. Your very survival may depend on it. I believe this is true for everyone at some point in their lives. 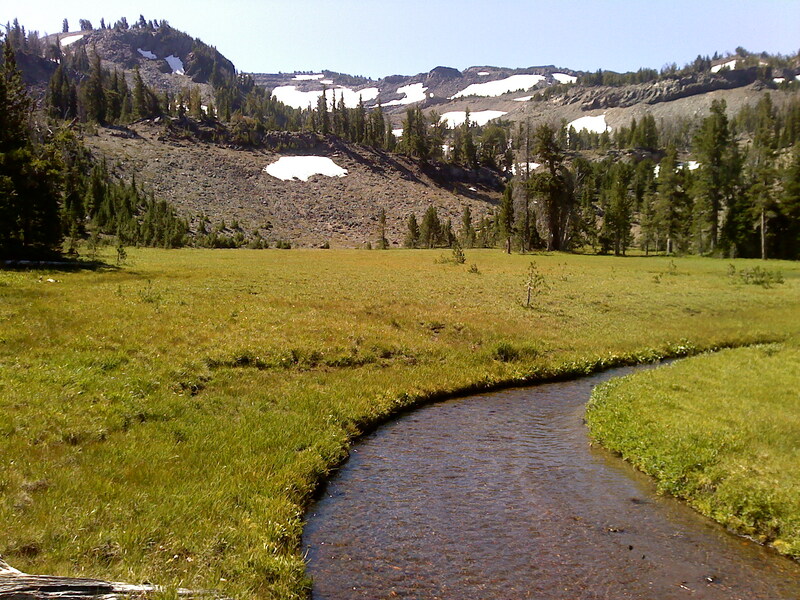 For many years I have conducted the ritual of hiking into the wilderness for three days of fasting and solitude — a Nature Fast — a way to cleanse both the body and the mind. Doing nothing but existing, opening myself up to the world around me, to the possibilities that might come. I wanted to listen to my inner voice, reconnect with who I am and where I am going. To do that I needed to separate myself, both physically and mentally, from the world. Nature serves that purpose. It is not an easy journey to make. One of most powerful experiences from those trips is the slowing of time and the clarity of my connections to nature. With nothing to do — no preparing, eating, or cleaning — time slowed to a crawl and the active mind slowed down, the internal voices became quiet. Sitting next to a stream, or by the ocean, the sounds of the world became crystal clear, providing a revelation of the acoustic harmony of nature. As I sat still for hours, days, creatures approached me and made their noises, sang their songs. I remember their sounds vividly, their bright chatter a chorus against the backdrop of wind blowing through the mountains, the rustling of trees, lightning and thunder in the sky, and waves crashing on the beach. 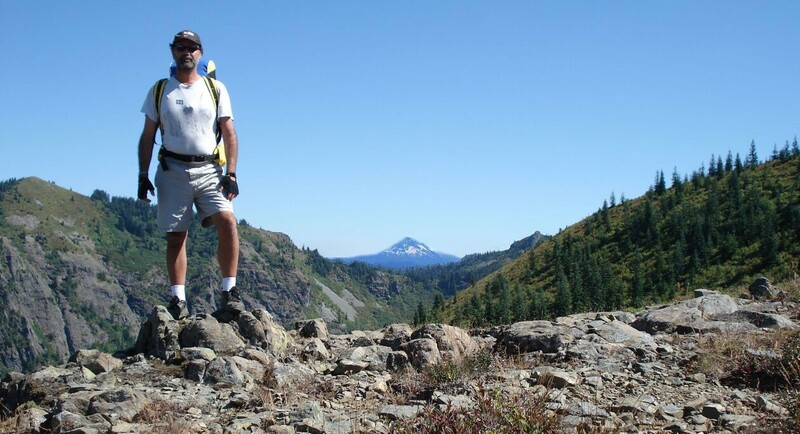 To conduct my nature fasts I have journeyed with my close friend Mark Hixon to remote places in the California Channel Islands, to the Cascade mountains, the Oregon coastal range, and the Olympic coast. Once there we separate and go our own ways. Alone, fasting, time slowed; the days and nights lasted for an eternity; more importantly my mind became quiet. Gone was the constant buzz of thoughts, the confusing jumble of conflicting memories, ideas, and anxieties. I was alone with myself and nature, nothing more. This was my goal. 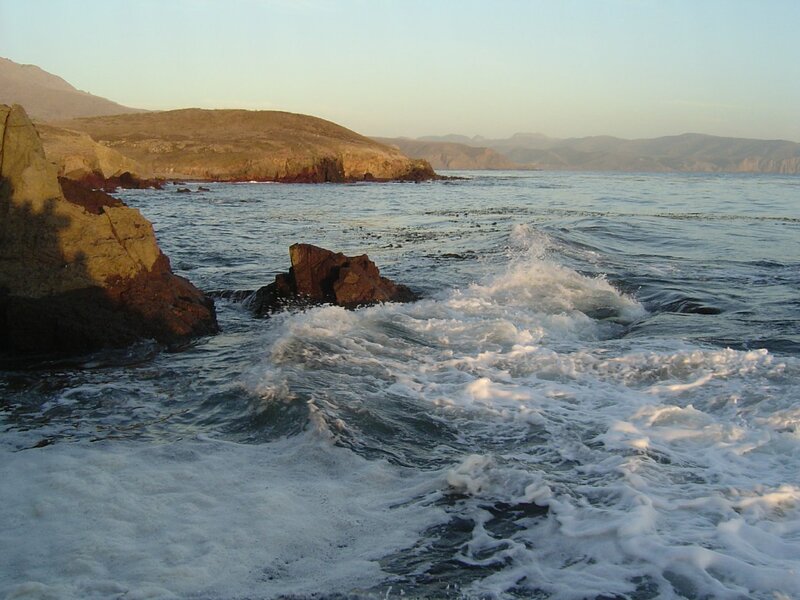 As I faced the south, out towards Santa Rosa Island and the open ocean, a large set of waves came in and broke. Thus, I connected with my dream of many years ago standing on that jetty facing the ocean, my friends at my back, diving under the waves to face the unknown. The force of the ocean and my fear of large waves from surfing embodies my fear. My challenge is to face my fear, to face the unknown. To go where I need to go. This moment embodies the whole of my life. Perhaps this is why I study the ocean — my love for its power and awe simultaneously causes fear and wonder, strength and courage. I have grown fond of a Douglas Fir tree near my tent. 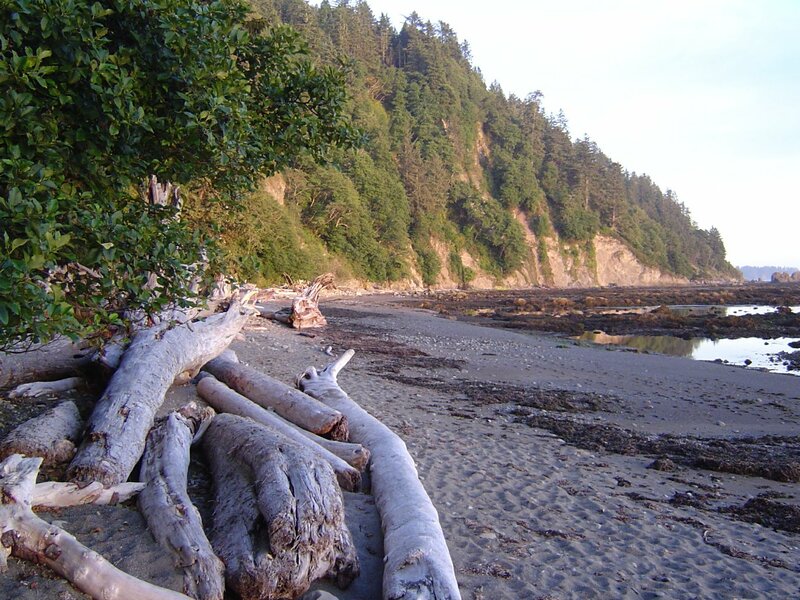 The tree has been unrooted by the surf and is leaning into the sea, it only has branches on one side and its roots are exposed. It is wounded but beautiful. It stands out but yet moves in the wind with all the other trees, singing their songs. It may be close to death but it is strong and magnificent. I have connected with this tree although I have heard no words. I have slept sound and peacefully here near its branches. The wind came alive last night like a screaming giant. I could hear it far off, roaring through the crags of the mountains, crying through the trees, hear it moving down towards me, feel it on my face. Ominous, powerful, yet clearly a part of this place — its music, a symphony. The night was long and wild. It lasted forever and I was very cold. The wind let up as the sun rose and it suddenly became impossibly quiet. This place is imprinted on my mind. So clean, pure, endless and peaceful. I want to absorb the peacefulness of the place, bring it back with me. Godspeed, my friend. Your life and the world’s future may depends on it. Wow, thanks Sandie. I’m not sure my writing is all that great but I appreciate your comments.